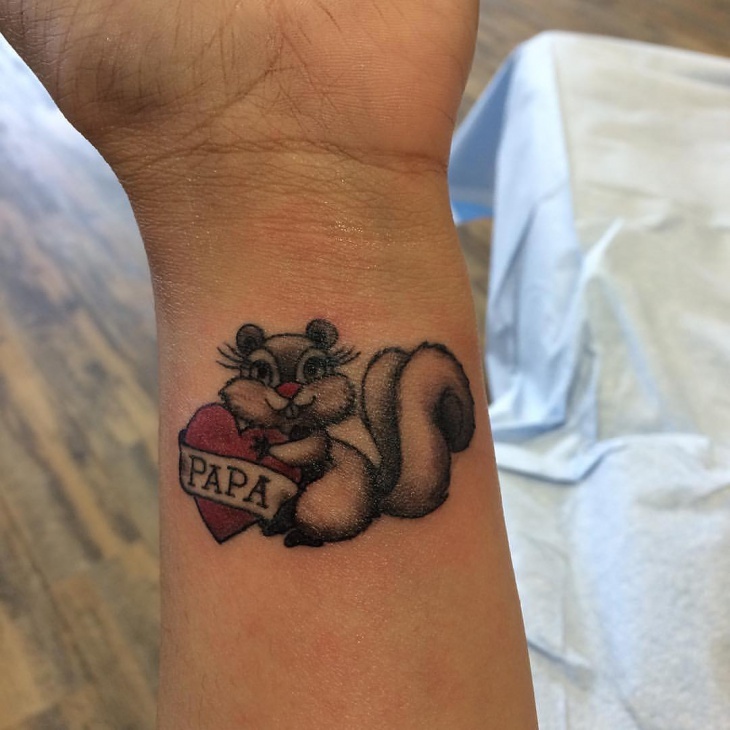 People go for tattoo designs that best describes their personality. Some people also get a tattoo to show their love for certain animals such as a crab tattoo. 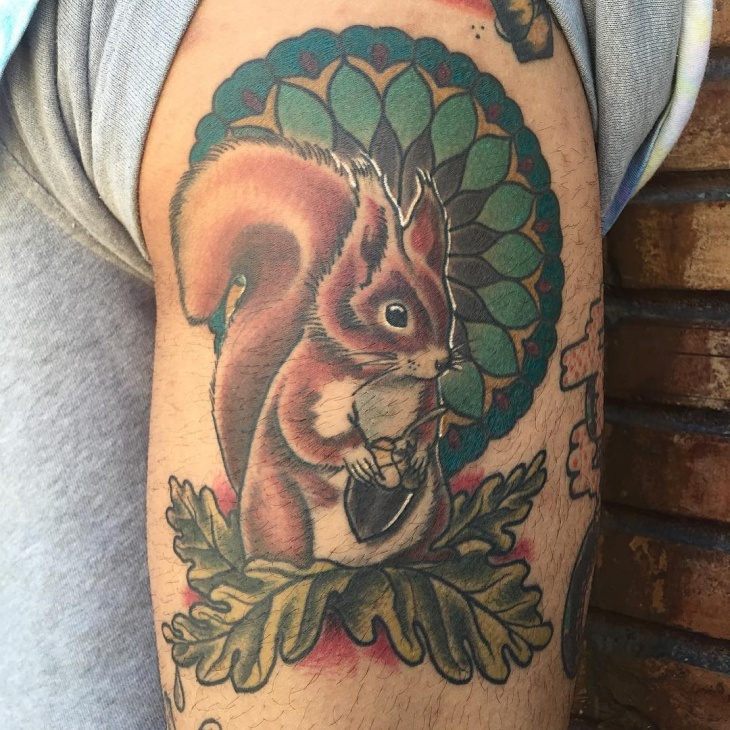 With traits such as cute, passionate and resourceful it’s no wonder a squirrel tattoo is a favorite among many people. 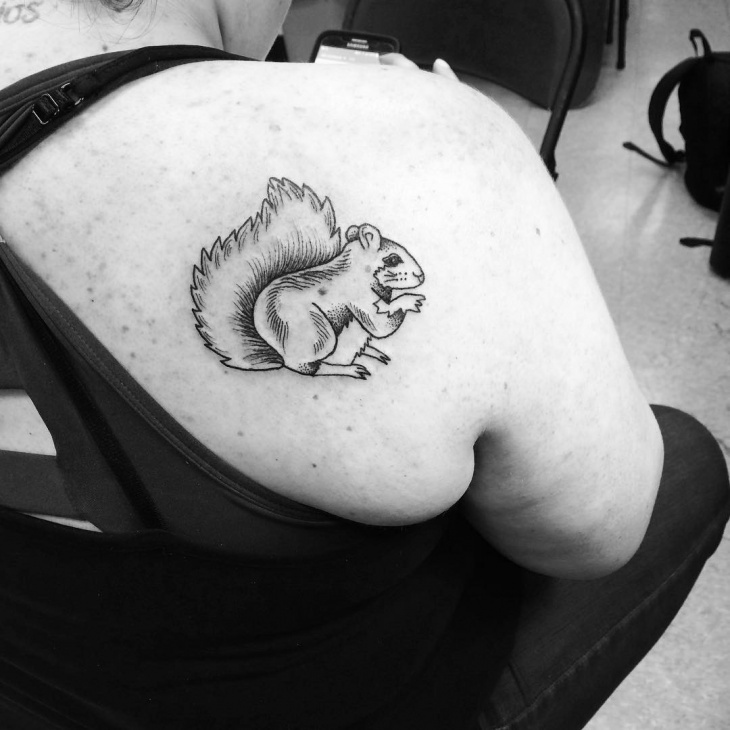 Whether small or large, a squirrel tattoo design can help show your personality. 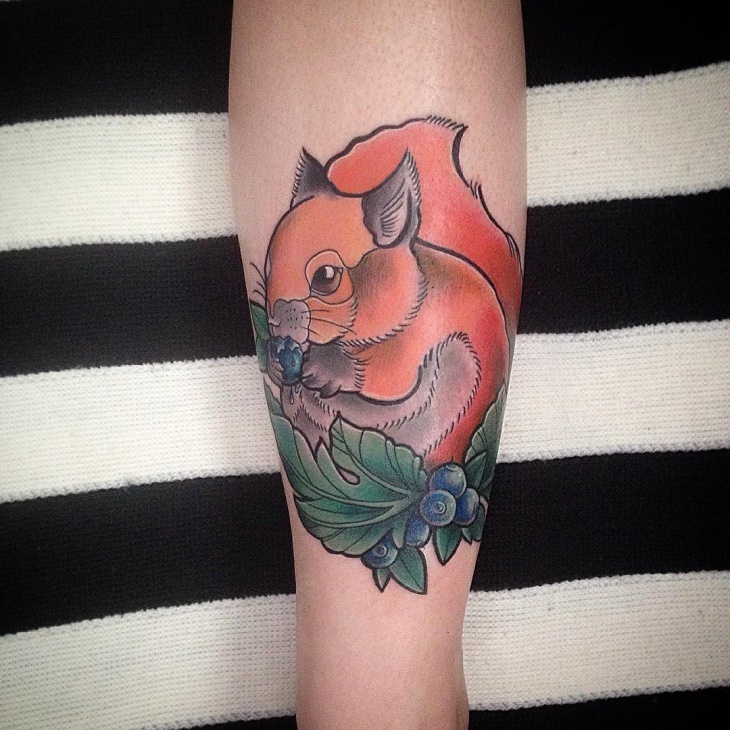 This geometric squirrel tattoo is perfect for ladies who want to portray creativity and boldness. 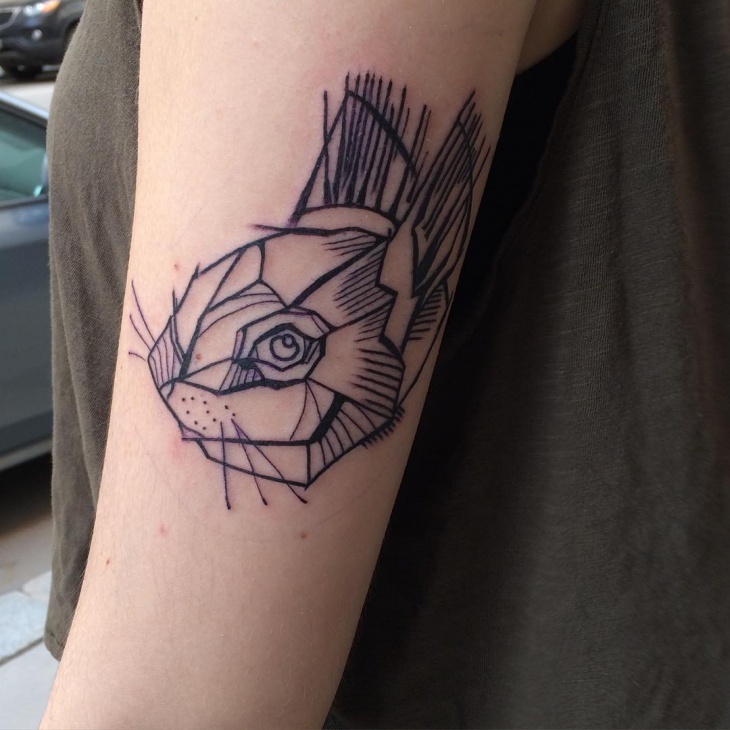 The sketch style makes this design unique while the line work gives it a chic look. 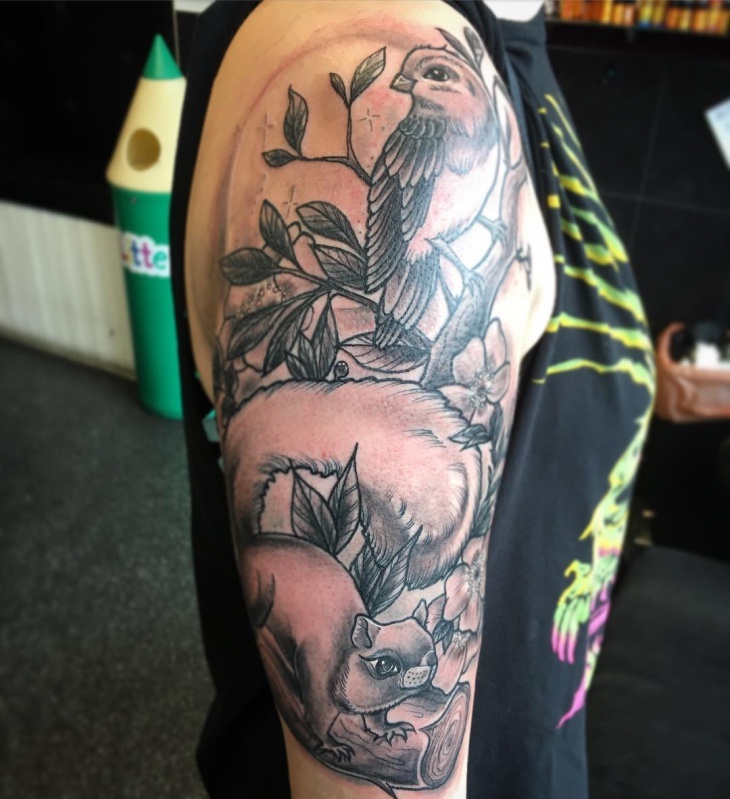 Opt to get this tattoo on the sleeve to make it stand out. 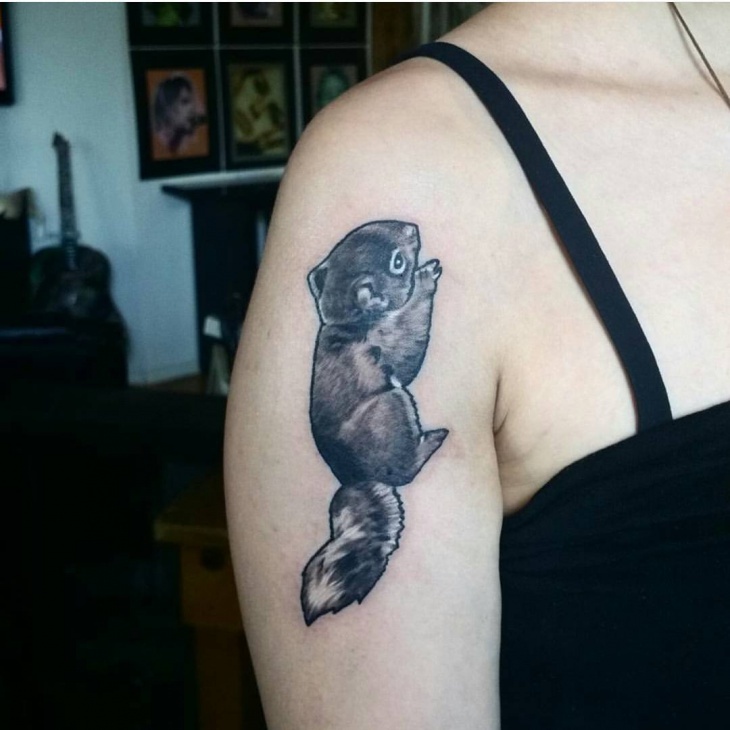 If a symbolic meaning is not what you are looking for in a tattoo, then opt for a good design such as this black squirrel tattoo. 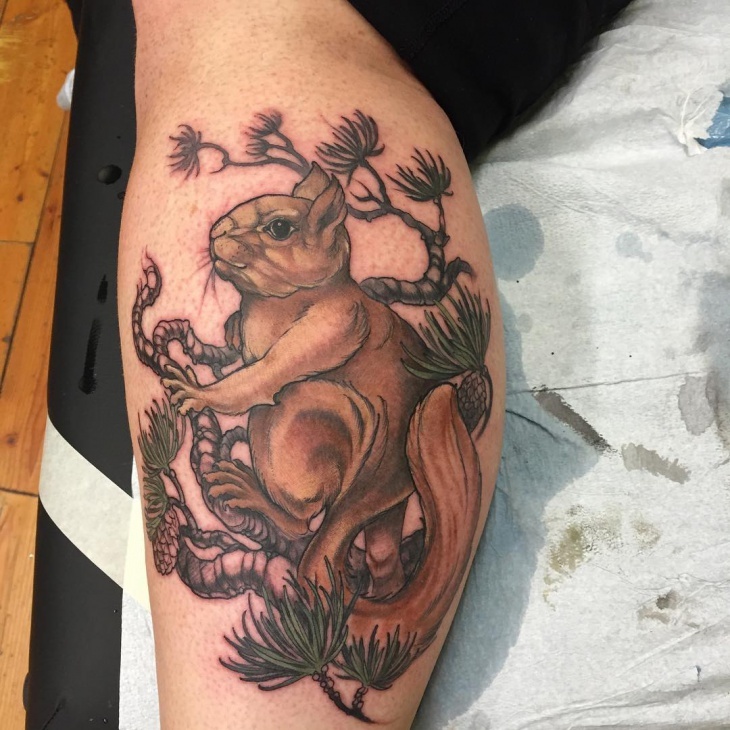 The intense dark color gives this tattoo a mysterious effect while the large size helps it stand out. 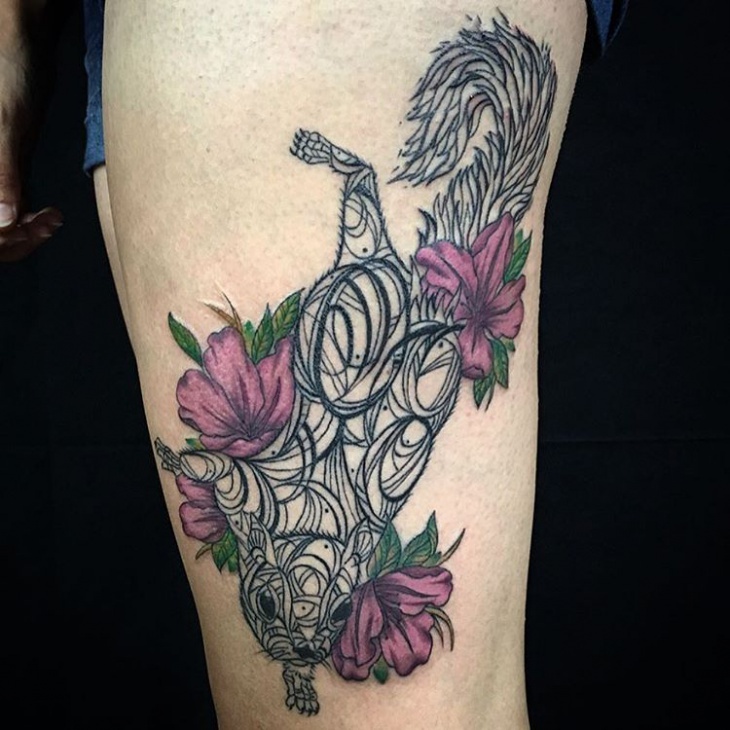 3D technology makes it easier to create unique and exceptional tattoo designs. 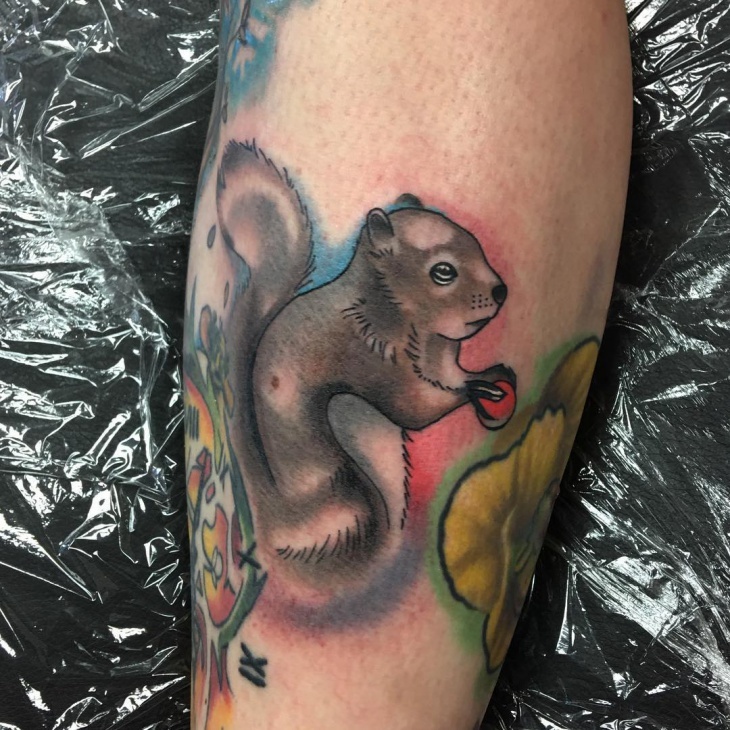 So, show your love for this technology by getting this 3D squirrel tattoo. Men can opt for a dark ink color while women can add vibrant flower tattoos. 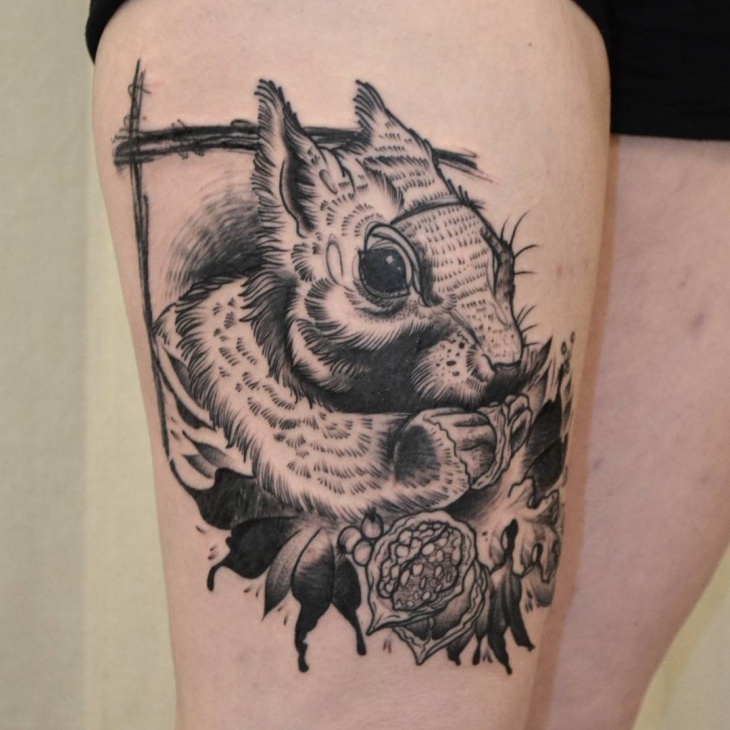 If bold and colorful tattoos don’t inspire you, then this cute black and gray squirrel tattoo should do the job. 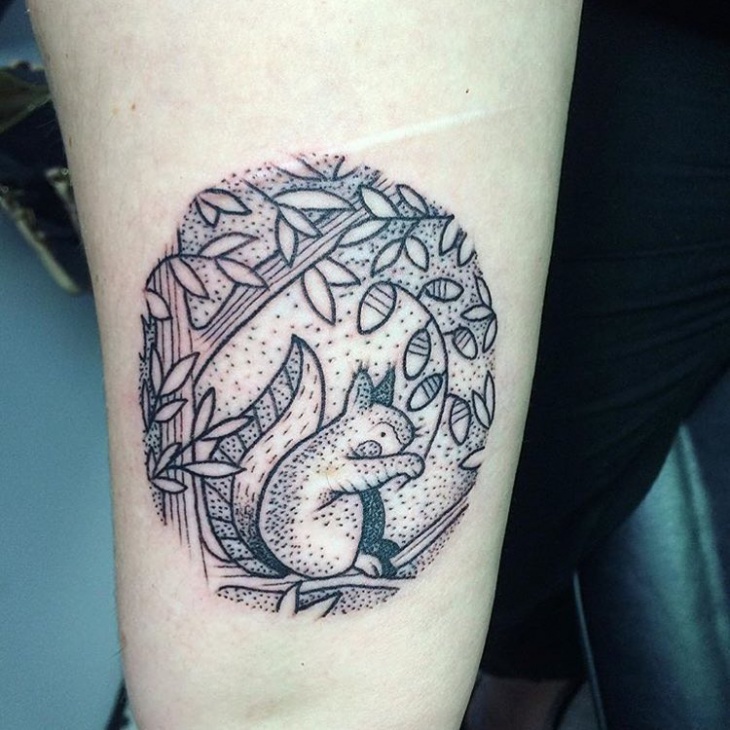 Since squirrels tend to get their nuts from trees, then the best way to symbolize that is through this dot work design. To make a simple gray squirrel ink art stand out, then opt to add watercolors around it. 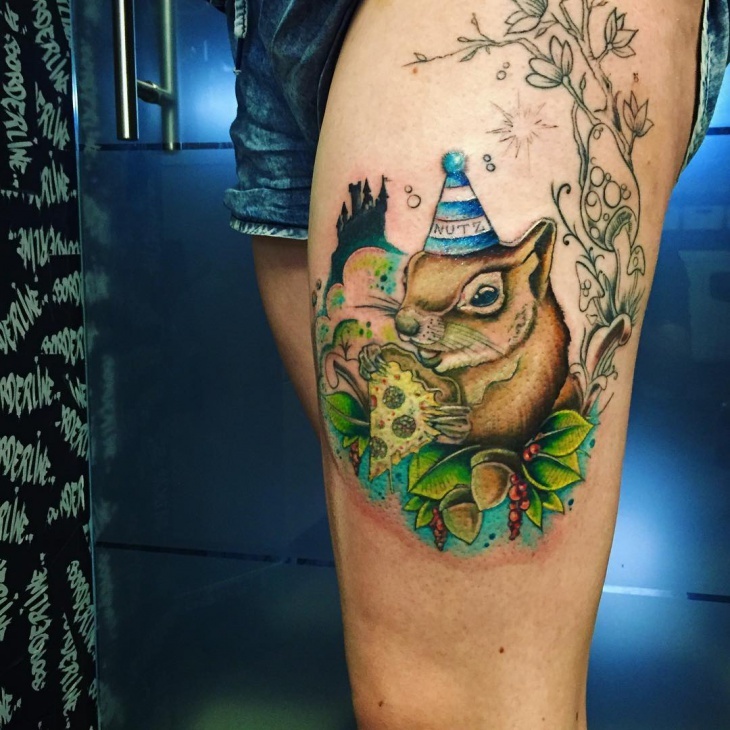 This colorful tattoo is just too beautiful. So show off this design by putting it on a body part where other people can see it easily. Get a small tattoo if you’re not sure about the design or if it’s your first time getting a tattoo. 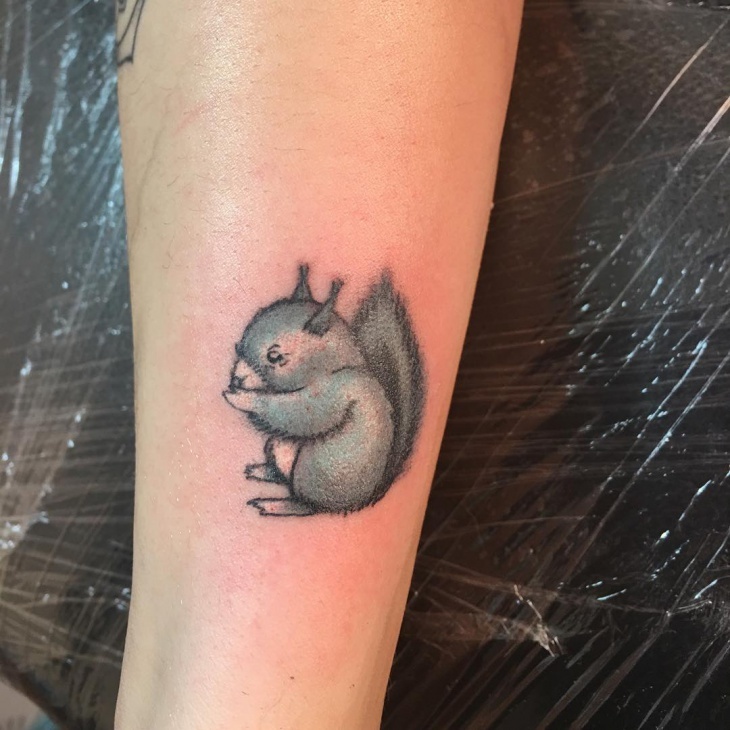 This small squirrel tattoo is cute. Instead of the standard gray or black color opt for a vibrant shade. 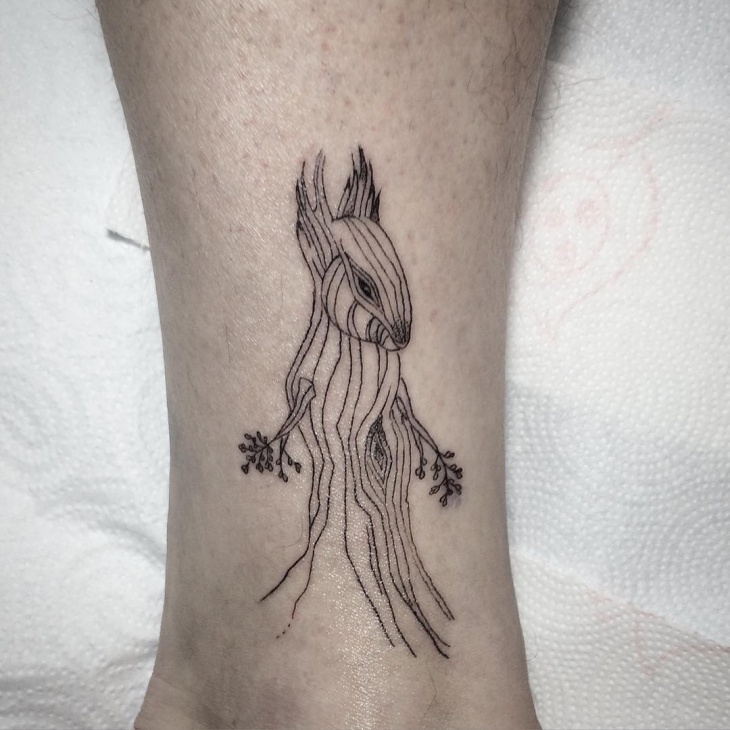 Trees usually contain various animals and insects and what better way to symbolize this society than by combining a squirrel with a wolf tattoo. The large size makes it perfect as a half sleeve tattoo while adding flowers makes it chic. 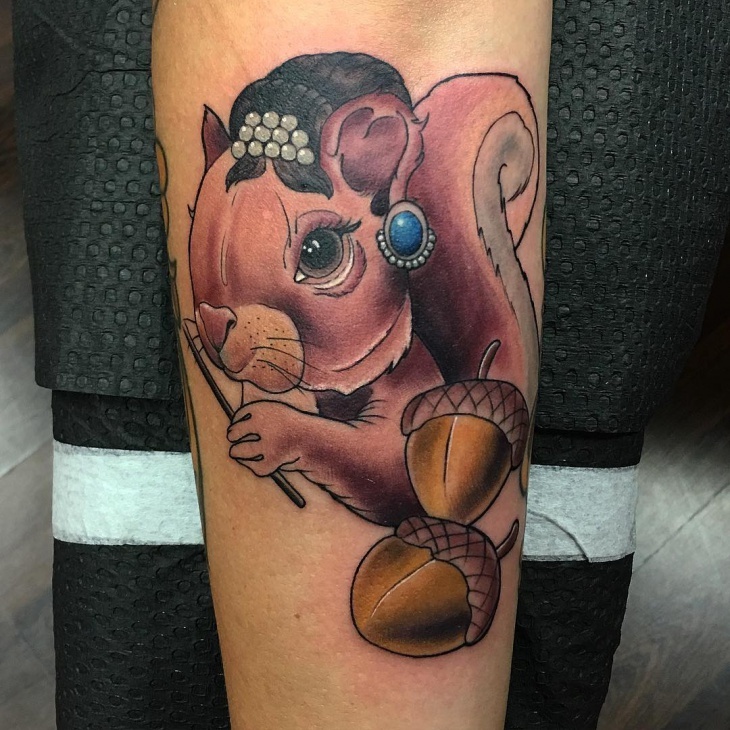 If a traditional element is what attracts you to in a body art, then go for this squirrel with a hat tattoo. The bold yellow flower on the hat and a red rose gives this tattoo a feminine yet cool look. 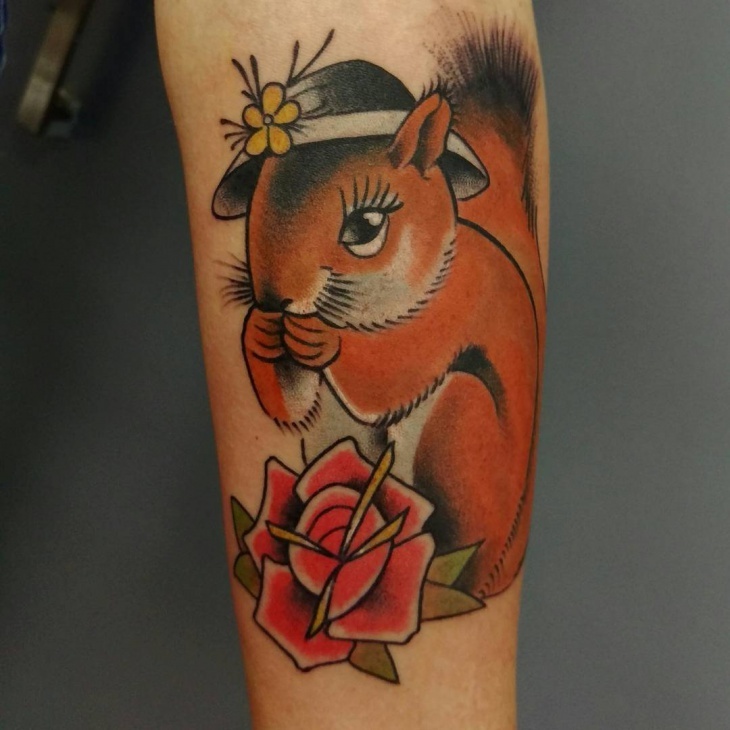 How a squirrel tattoo best describes personality? 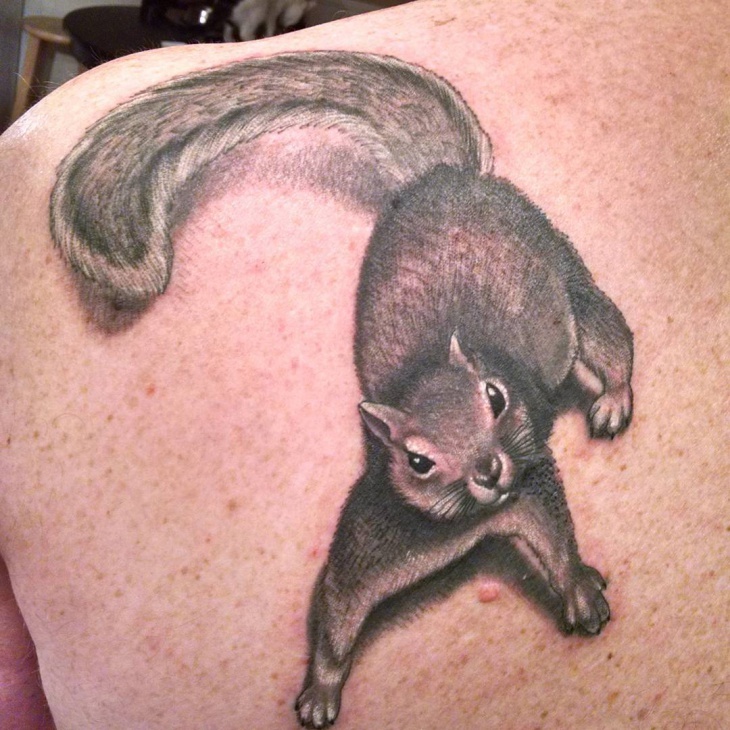 A squirrel tattoo is a symbol of practicality. The ability of this animal to hide nuts when in plenty and eat them during winter is a moral lesson that humans practice. 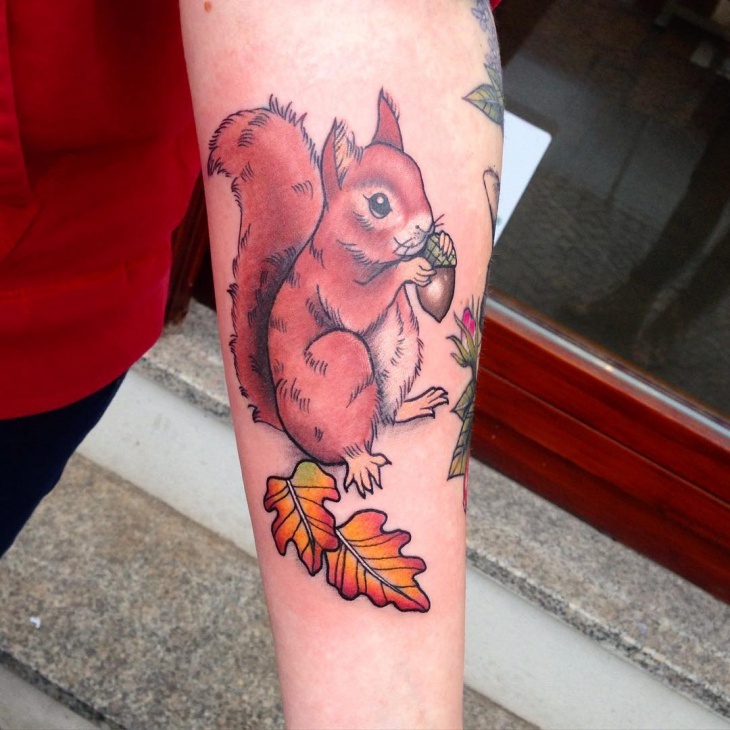 Due to its speed, a squirrel tattoo symbolizes lightning while its red fur is associated with fire. Since this cute animal tends to gather food during summer, it also symbolizes energy and vitality. A squirrel is a social animal with a broad range of meanings that apply to humans. 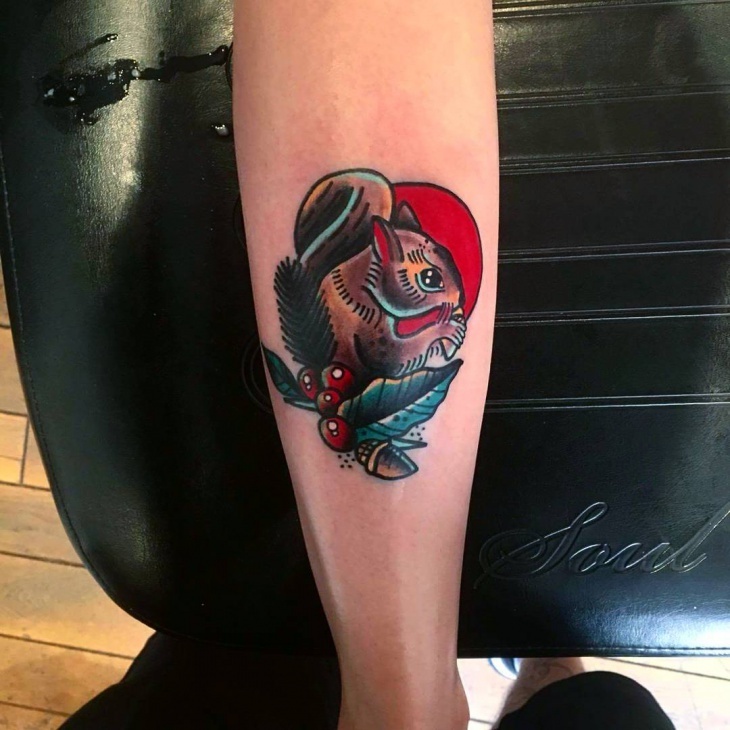 Just as a bull tattoo portrays strength the way a squirrel works hard to gather its food also shows the power of this animal. 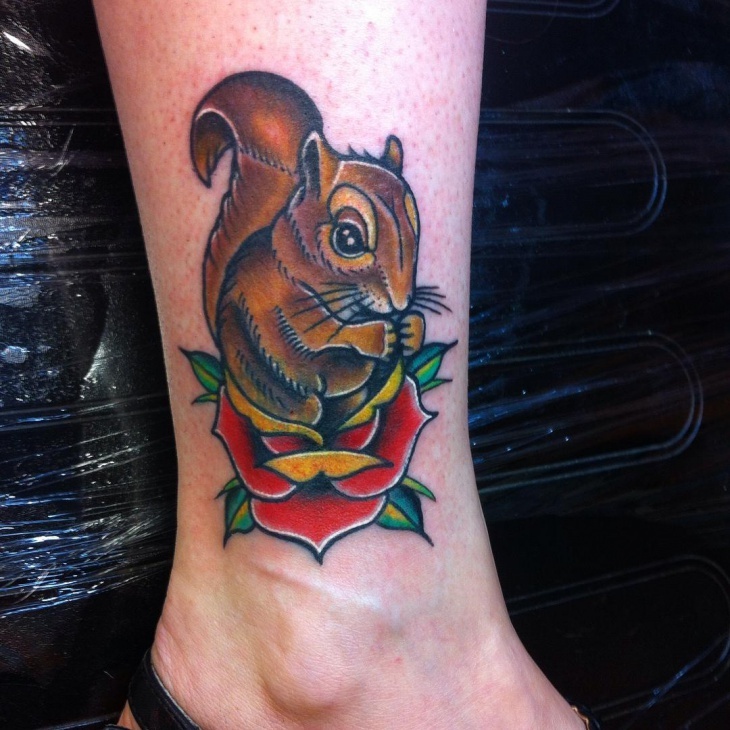 So, whether in geometric or traditional design, a squirrel tattoo can help you best express your personality.